The seating of the unusual chair comes in different materials elegantly placed on a solid wood frame. Hemp or Flax fibre with biobased plastic-fibre added seating, compression moulded. 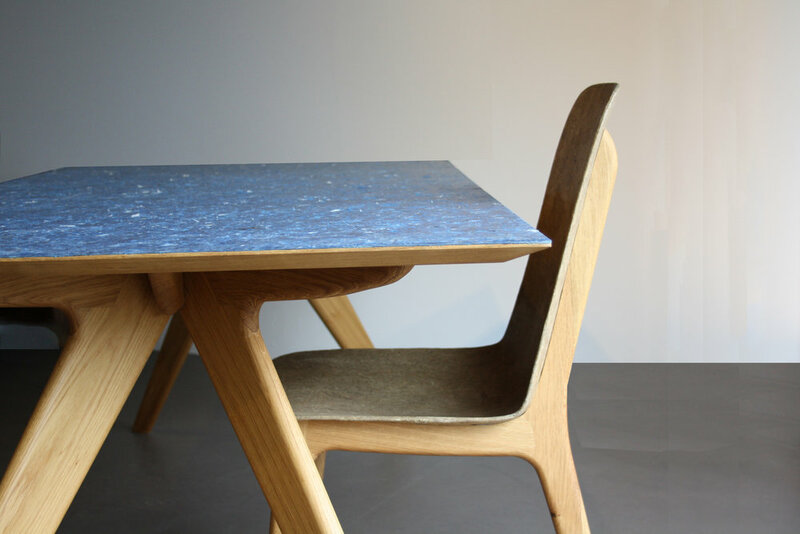 Recycled denim fibre with recycled plastic-fibre added seating, compression moulded. Exclusively custom-made from company fibres with recycled plastic-fibre added seating, compression moulded. From burlap coffee bag, old jeans or car seat upholstery we transform your textile-leftovers into contemporary design products. 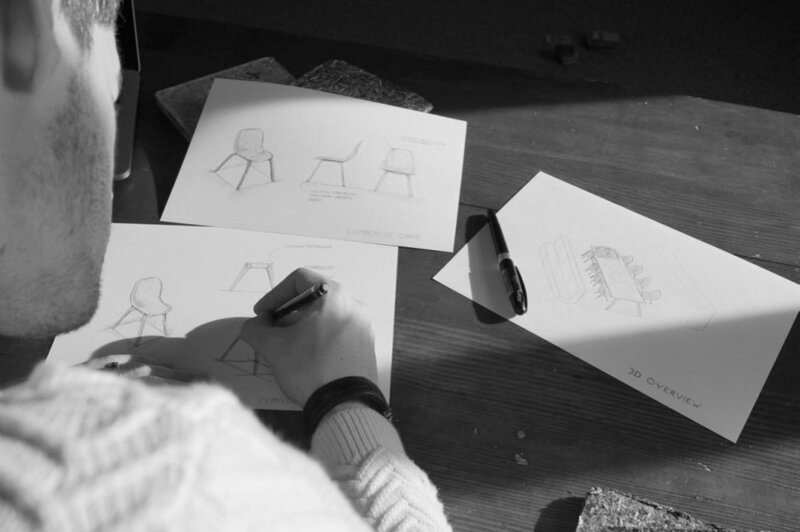 Interested in your own exclusive office furniture?